Tall Remote Hydraulic fluid reservoir complete with three push on outlets and float level indicator switch. 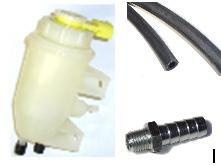 Three Adapters to fit directly into master cylinders for push on pipe. 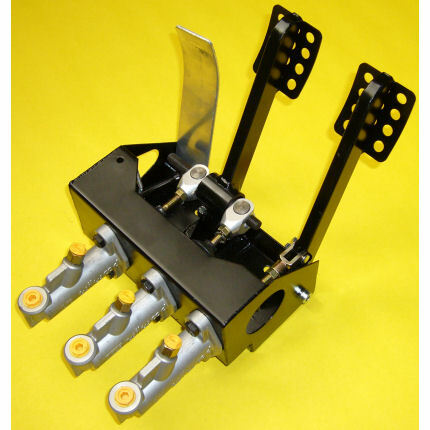 Universal Floor Mounted Pedal box, includes all three master cylinders and bias bar, clutch, brake and accelerator pedals. Fits all lotus/locost chassis and many other applications.